Guide to the Sunshine Coast of BC - All about Gibsons, Sechelt, Powell River and areas. Welcome to the Sunshine Coast of BC! Whether you are a first timer visitor to the Sunshine Coast of British Columbia, a frequent visitor or a resident, prepare to learn something new and find exactly what you are looking for on this site. For more than a century, the area has captured the hearts of those that have visited and the local residents. 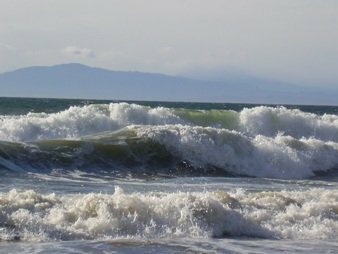 The area is located north of Vancouver BC and is accessed by BC Ferries, water taxi, sea plane service, and from Vancouver International Airport. When travelling to the area, you would think it is an island, separate from the Lower Mainland of BC. The fact is the Sunshine Coast is attached by land mass, there is just no road access. The better than average climate, gorgeous scenery, more than 20 provincial parks, lakes, beaches, talented artisans, great food and the sunshine-coast lifestyle make the Sunshine Coast a great escape from city life. You can accomplish a short visit to the area in a day trip from Vancouver. The ferry ride from Horseshoe Bay is only 45 minutes long. Once you arrive, you will feel worlds away from the bustle of a major metropolitan city. Old growth forest can be found in the Caren Range and it is spectacular. The Caren Range is home to some of the oldest Western Cedar in Western Canada. If you enjoy hiking, you will be taken back by the beauty of the local forested areas, waterfalls, wildlife, and native plants. It is truly a site to behold. To get your Coast weather forecast, click the drop down menu on the Weather Channel button on the upper right of the screen. It will show you up-to-date weather forecasts for the different communities of Gibsons, Sechelt, Powell River, Madeira Park and Texada Island. You will find weather warnings, weekly forecast and the 14 day weather forecast.Keep up to date on Sunshine Coast weather conditions. The coast stretches from Langdale to Lund and there are many communities, each one unique, in between. This site is broken down by community to let you explore the area and region that you are looking for. These are the major communities. The people, scenery and temperate climate make this a magical place. Everyone seems to find a little piece of paradise here. Once you have visited, it can be very hard to leave! 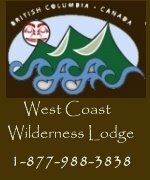 You will find quaint accommodations, cottage rentals, vacation rentals, B&B, campground & RV site information, boat rentals, boat tours, outdoor adventures, restaurants, local events, local business connections and a whole lot more as you explore this beautiful area of coastal BC. Travelling to and from the various communities can encompass boat, ferry, water taxi, car and sea plane! Be sure to visit our Coast Travel page to determine the best route and options for travel to and from the Sunshine Coast. The local Service Directories can help you with contacting the various providers of air and sea travel. Local Businesses can be found in the Business Directories. Be sure to browse them, you will be amazed at the types and number of businesses scattered through out the area. Whatever you are looking for, likely you will find someone who can help you. Please explore at your own pace and welcome to PARADISE in beautiful British Columbia. Advertise your business in 2011 - over 500 visitors a day will be able to find you online. Listings starting at $69.95 per year. 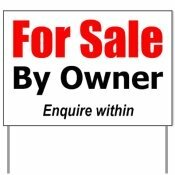 Contact Us on our Contact Page for more information and to place your ad.